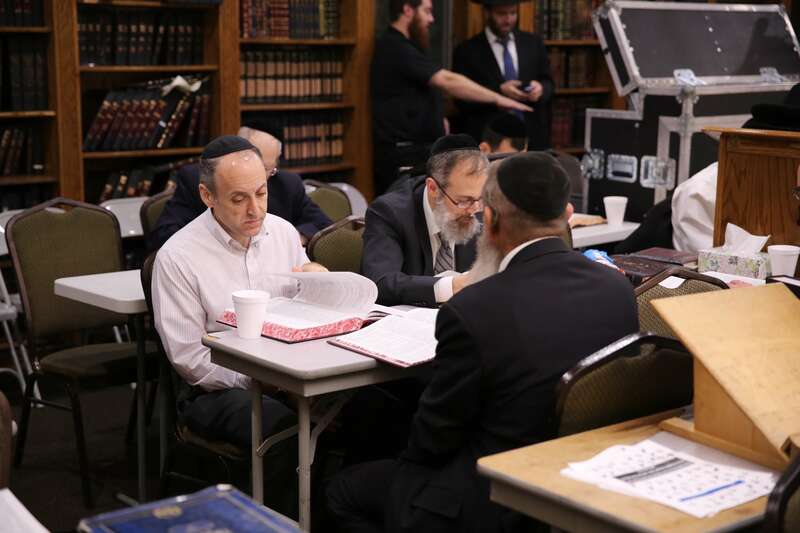 The Torah Projects and Daf Yomi Commission of Agudath Israel of America hosted a live, worldwide broadcast of a siyum on Maseches Bava Kama, drawing hundreds of participants from multiple locations around the world, in person and online. 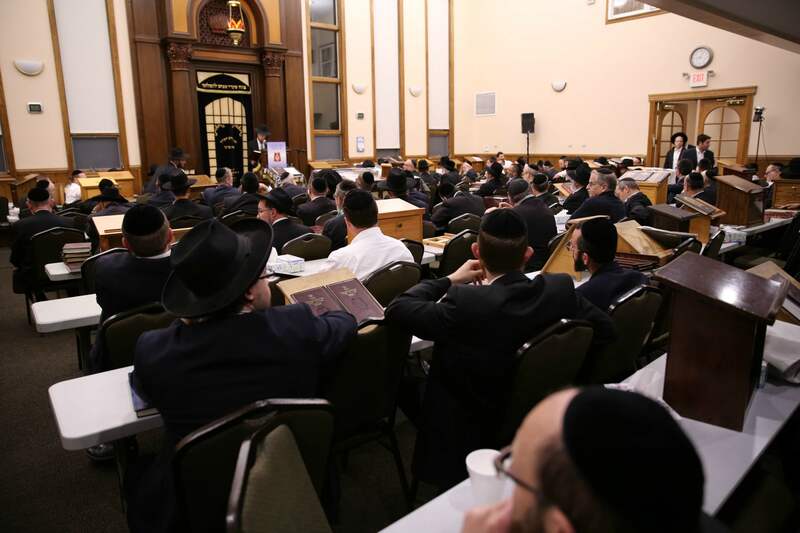 The event was held at the Monsey Night Seder at Congregation Shaarei Tefilah. 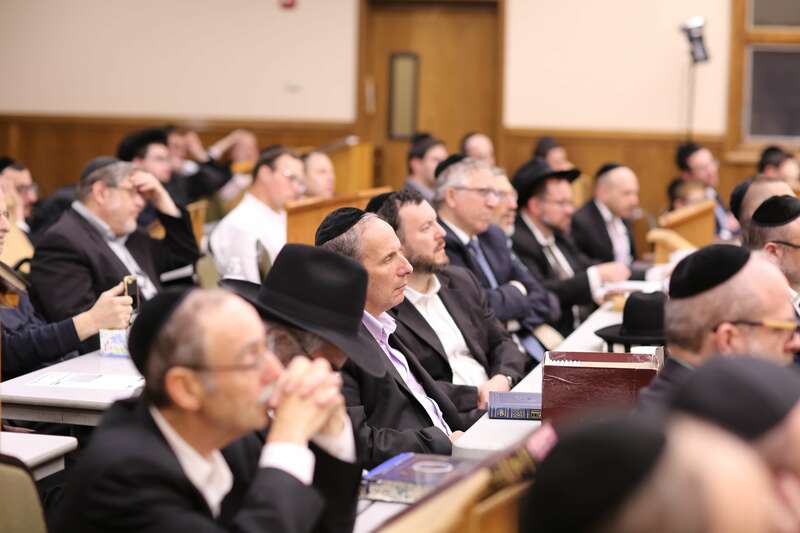 Rabbi Yisroel Reisman of Agudath Israel Zichron Chaim Zvi of Madison and Rosh Yeshiva, Yeshiva Torah Vodaath, graced the occasion with uplifting divrei hisorerus in preparation for the Yomim Noraim. 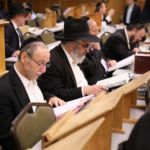 Based on what the Ran writes about how the court system in Eretz Yisroel functioned in the times of the Sanhedrin, Rabbi Reisman developed a fascinating chain of thought about two possible kinds of Heavenly judgment awaiting us on the Yom Hadin. 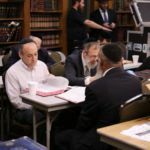 When Klal Yisroel lived in their own land, the Ran explains, the court system consisted of two tracks. One track, known as mishpat hasanhedrin, operated by the strict letter of the law. The second track, mishpat hamelech, was under the jurisdiction of the king who possessed extrajudicial powers. The fundamental difference between them is that the king could override the law if the nation’s welfare warranted it. He could take into account mitigating circumstances in rendering judgment. He had the power to lift a death sentence or impose one if such extrajudicial actions were needed for the public good. 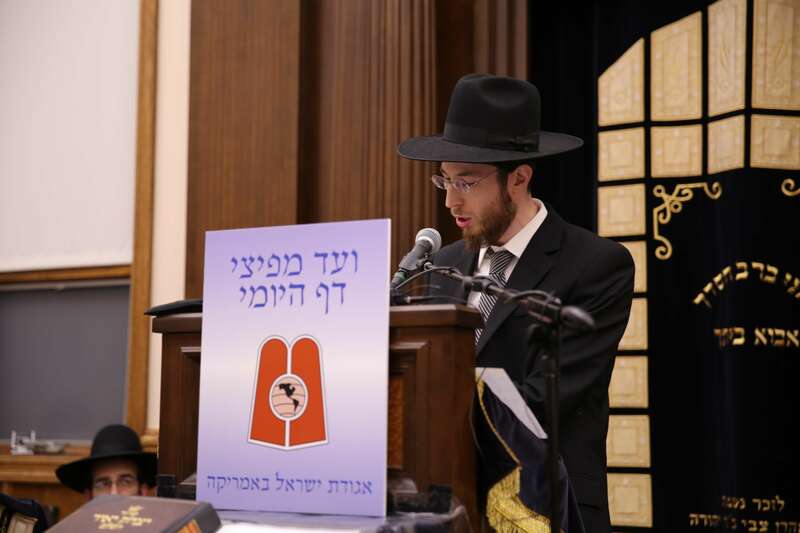 The symbol of the Yom Hadin is a Heavenly scale on which mitzvos and aveiros are weighed in a manner reminiscent of the mishpat hasanhedrin, noted Rav Reisman. It’s a system that is meshuras hadin, “it goes by the book” in determining a person’s fate. WHICH COURTHOUSE WILL IT BE? In many places in the machzor, however, we come across tefillos that are not consistent with this imagery. 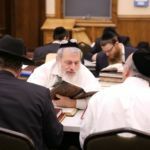 We ask Hashem to remember “bris avoseinu…Avrohom, Yitzchok v’Yaaov.” We ask him to remember “akeidas Yitzchok.” What does this have to do with a person’s personal track record of mitzvos and aveiros? Consider another baffling tefilah, said the rav: “Al tavoh imonu b’mishpot; Don’t sit in judgment with us, Hashem…” How strange. 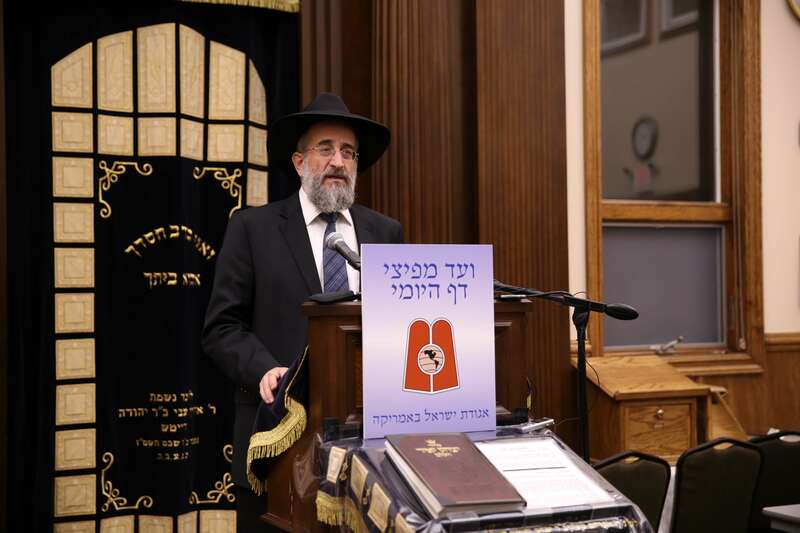 Isn’t the whole point of the Yom Hadin to stand in judgment before Hakodosh Boruch Hu? 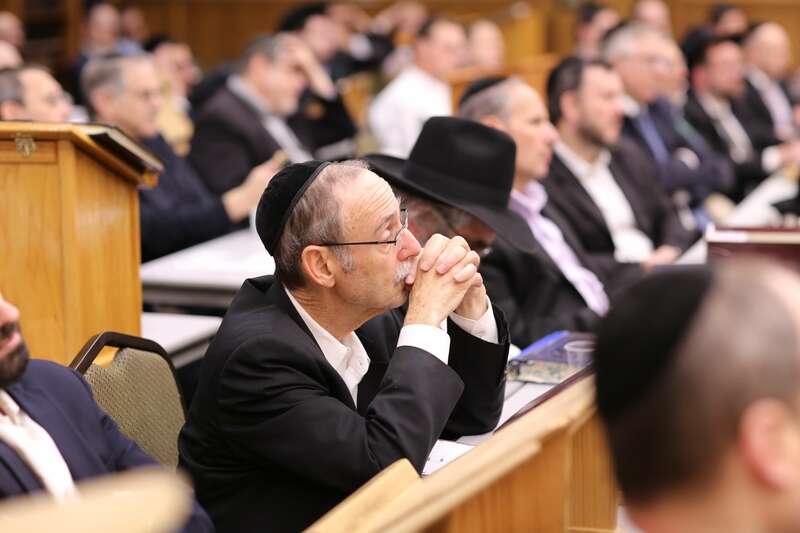 Perhaps the underlying message is that we’re asking to be zocheh to mishpat hamelech, explained the rosh yeshiva. 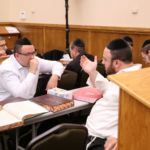 That is the true avodah of Elul, when we are in the realm of ani l’dodi v’dodi li, a special intimacy between Klal Yisroel and Hashem. 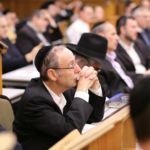 Mishpat hasanhedrin – justice-by-scale, so to speak, is very risky, he said. Especially since “lo yitzdak lefonecha kol chai, no living creature can be fully vindicated.” Who knows what mistakes and aveiros will appear on the scale that we don’t even remember? What happens if we lack the zechusim to offset them? 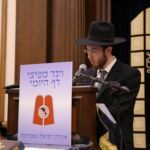 We therefore plead for mishpat hamelech, the “extrajudicial” track where Hashem, who cherished our Avos, will show their children mercy even if they don’t deserve it. 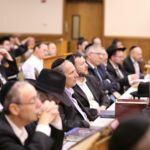 That is perhaps why, according to the Mechaber, one has to repeat Shemoneh Esrei if he forgot to say hamelech hamishpot, Rav Reisman said. 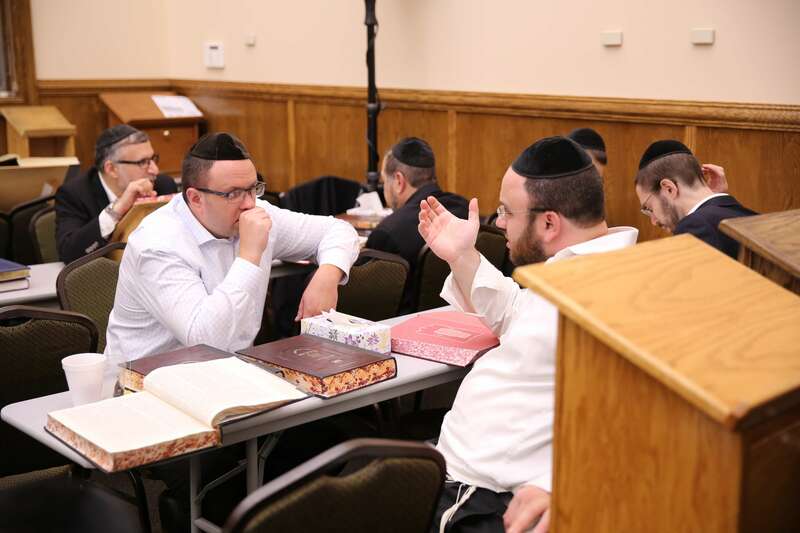 The rosh yeshiva shared another incident from an earlier tekufah in his life that gave new meaning to the unusual wording in Neilah, “P’sach lonu shaar b’eis neilas hashaar; Open the gate for us as the gate is closing.” The incident involved a ride he had given his friend, Rav Aryeh Katzin, who was active in bringing Russian youngsters to the United States while the Communist regime was in power. The two men were planning to attend a meeting together in Flatbush. 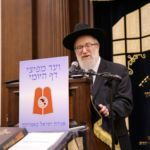 Rav Katzin asked Rav Reisman to make a stop along the way, as he had an important package to deposit at the post office. It was a cassette of a shiur in Russian he delivered each week via Radio Free Europe to Jews behind the Iron Curtain. For the U.S. government to broadcast the material, the cassette had to be in the mail Thursday evening. 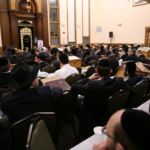 Most post offices were closed at five o’clock but Rav Katzin knew of one right outside the Holland Tunnel that was open until nine. 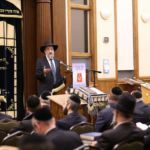 “But Rav Aryeh, it’s already ten after nine,” Rav Reisman pointed out after their lengthy detour through the Holland Tunnel. “Maybe it will still be open,” Rav Katzin replied hopefully. 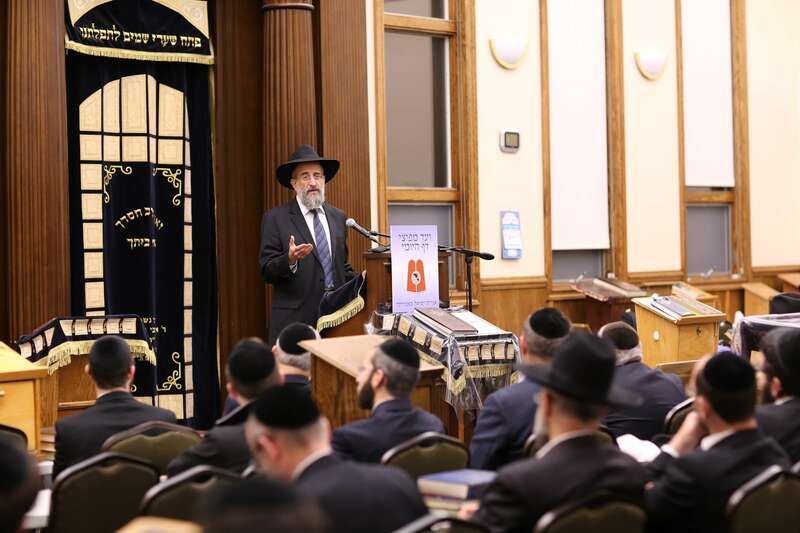 “If you have a ‘friend’, inside, he will open the door for you even after closing hours,” reflected Rav Resiman. “This is the special privilege of Ani l’dodi v’dodi li. And how are we to be zocheh to it? Through ahavas Hashem and ahavas haTorah. 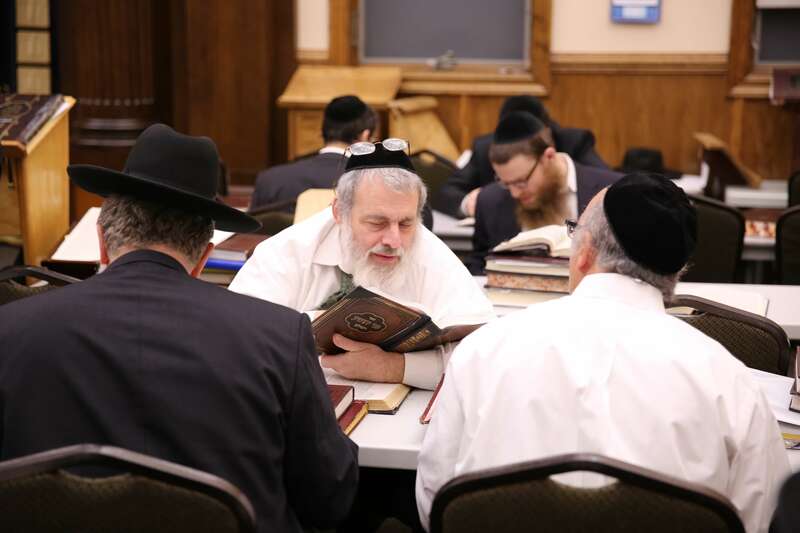 Develop a kesher with the Ribono Shel Olam and youwill slowly build a closeness with Him. 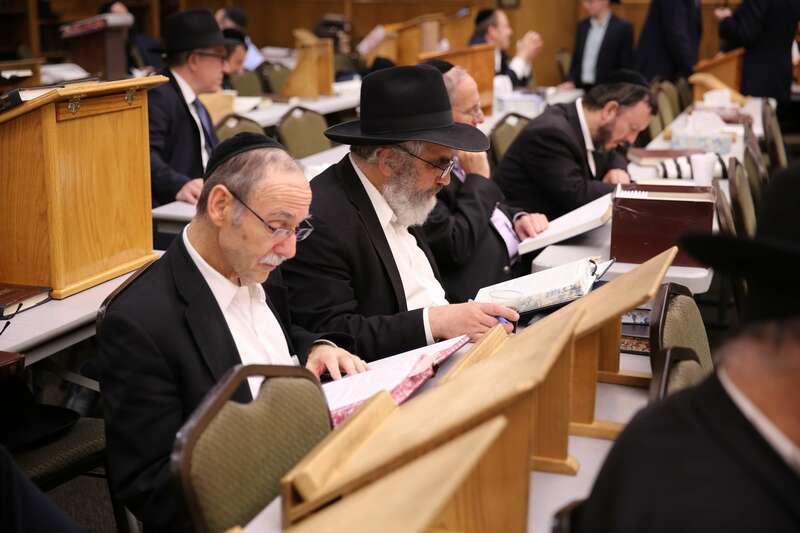 Rav Reisman expressed his dismay at hearing frequent comments about how the Yomim Noraim come and go and nothing really changes, people are right where they were a year ago. 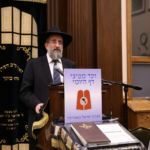 The minhagim Yidden undertake during the Aseres Yemai Teshuva show Hashem we are reaching out, we want a relationship with Him, the rav said. 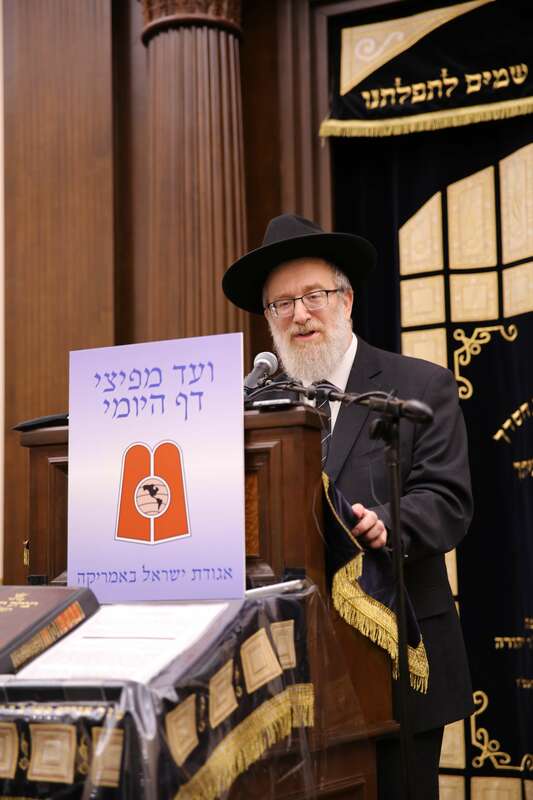 He added that he wasn’t advocating adopting chumros carte blanche but that with regard to certain stringencies, the Shulchan Aruch praises the “machmir” as Zerizim makdimin l’mitzvos … Tova olov brocha….Yirai Shomayim yachmir al atzmo. 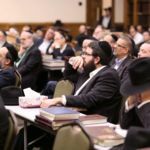 “If we make a habit of never going beyond the letter of the law,” Rav Reisman concluded, “can we come to Hashem on the Yomim Noraim and ask Him to drop meshuras hadin and judge us with mishpat hamelech, with the love and closeness of Ani l’dodi v’dodi li? 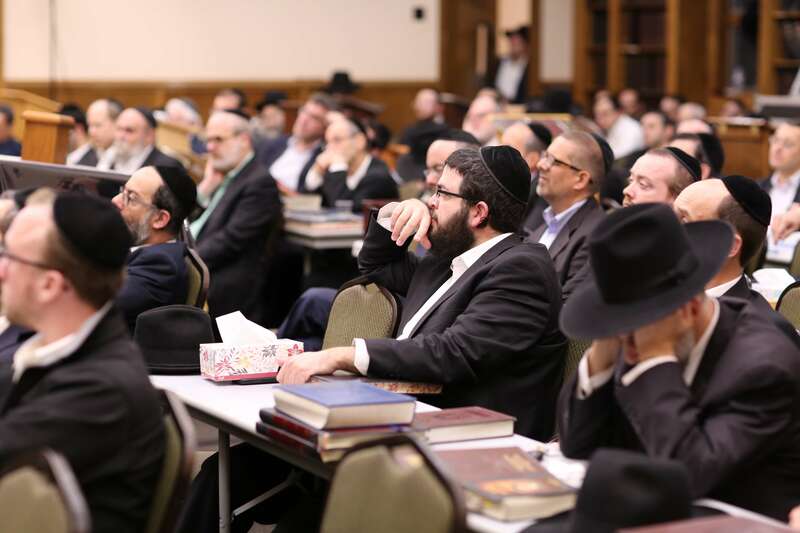 Rabbi Labish Becker, Agudath Israel’s executive director, who introduced the session, remarked that it was especially gratifying to see the reaction of the participants who felt that Rabbi Reisman’s address gave them the tools with which to enter the Yom Hadin.